Do your kids love the annual Easter Egg Hunt or look forward to a visit from the Easter bunny? 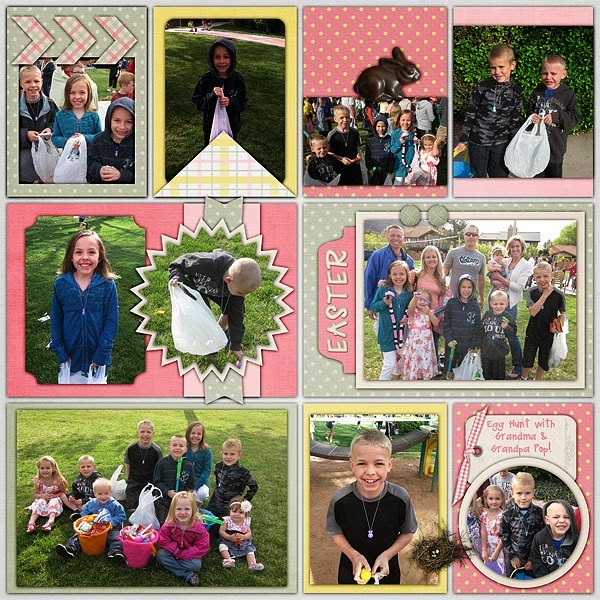 This kit has all the eggs, bunnies and flowers you need to scrap these memories. It even includes a chocolate bunny! It is made with pretty pastel colors and includes lace and pearls so you can scrap your little ones in their Easter finest too. 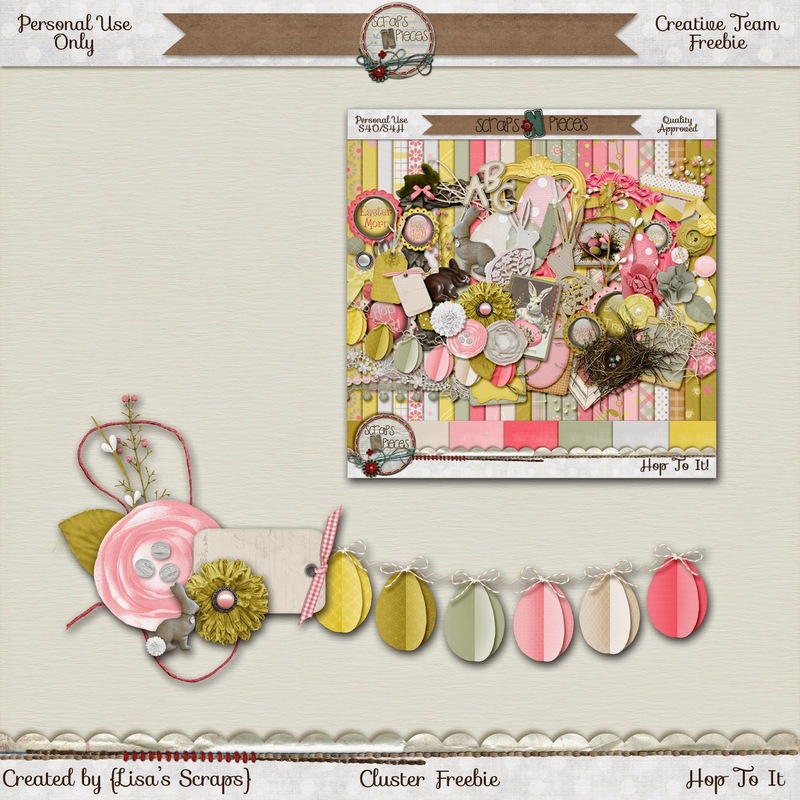 You can purchase this kit for the first week of release for only $3.00. You can find it HERE at Scraps-N-Pieces or HERE at My Memeories. 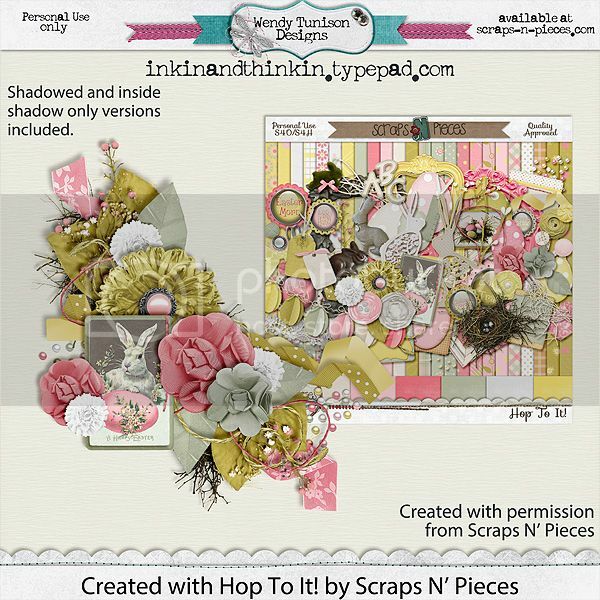 Amy's Scrappin Memories has teamed up with us and made these beautiful coordinating clusters for this kit. You can get them HERE the first week for 50% off. Just look at these beautiful layouts from our Creative Team. Don't forget to go grab these FREEBIES. I added a freebie for you too!